If America had a sweetheart fruit, watermelon would be it. The melon, often thought to be the star of barbeques or the inspiration behind bright nail polish shades, is being spotlighted as one of summer’s hottest skincare ingredients. Watermelon-infused products have been hitting stores since the weather warmed up, and we’re going to explain why it should be added to your cart. 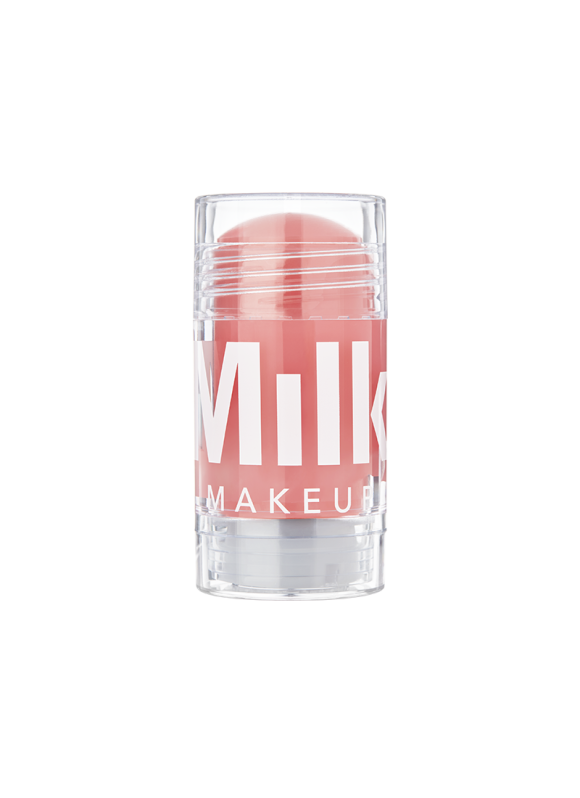 Milk Makeup recently launched a Watermelon Brightening Serum ($36), offered in a stick form that feels cooling and soothing when rubbed atop skin. Use it after toner before layering on a more buttery moisturizer. We love applying it on dry airline flights or after the gym to instantly perk up our complexion. The trendy millennial makeup brand isn’t the only one to tap into the melon madness. Bliss recently relaunched its entire collection, making its offering more modern, natural-ingredient focused, and cruelty-free. That new roster includes the What a MelonTM Reviving and Destressing Overnight Mask ($16), which has a pearly formula, the scent of a Jolly Rancher, and the ability to help you wake up with softer, detoxified skin. But let’s give credit where credit is due. Last year, Glow Recipe caused an internet frenzy with its Watermelon Sleeping Mask ($45), which sold out multiple times on both glowrecipe.com and at Sephora. The bouncy baby pink gel mask features watermelon and hyaluronic acid, a duo that will give you nourished, petal-soft skin. The Korean Beauty brand followed up this best-seller in 2018 its newest iteration, the oil-free Watermelon Pink Juice Moisturizer ($39). It’s light enough to wear to a workout but hydrating enough to keep you dewy all day. We even like to put a bit over foundation to make skin glisten. Good news: Lee and Glow Recipe’s other Co-CEO and Co-Founder, Christine Chang, plan to release additional watermelon-infused products. “We’re actually working on a new product that is launching soon where the main application was inspired by our grandmothers rubbing watermelon rind onto our skin,” Chang reveals. That said, the faster way to allow your skin to drink up that watermelon juice is to use it in your topical beauty routine, according to Escobar. “When applied topically, watermelon delivers its nutrients directly to the skin so it receives the benefits faster,” she explains.